Video Online Workshp is founded and run by Masami Kikuchi, an independent Japanese developer/producer of cultural exchange programmes for distance education and community empowerment, using ISDN-based videoconferencing systems, based in Chiba, Japan. Masami has been developing and producing a number of ICT-based live and fully interactive cultural programmes many of which are archived on the website at: <http://www.onlineworkshop.net/archives/>. 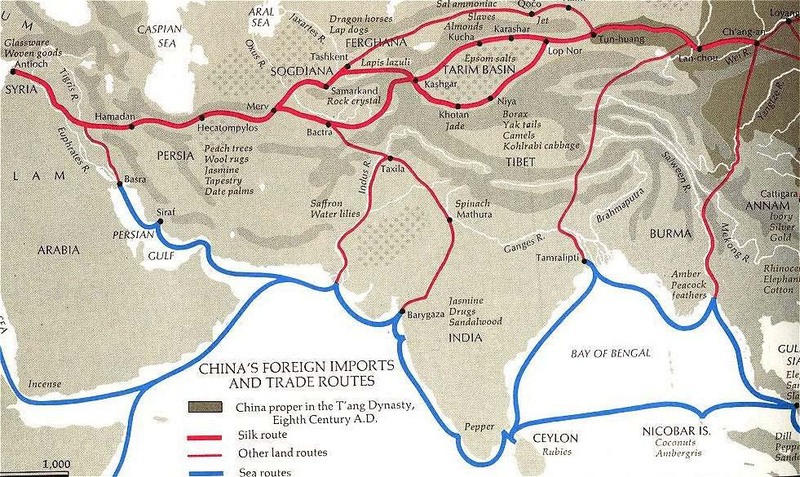 As part of private and independent projects to revitalize and enrich the Eurasian people out of the tragedy, I am trying to organize a project of "Odyssey on the Silk Roads: exploring the routes/roots of Gagaku" with one of my partners, Gagaku Master Mita Noriaki (http://www.miduho.gr.jp/). "Gagaku" is very old traditional court/ritual performing arts of Japan with the history of over 1300 years. Many music and dancing of Japan have been derived from Gagaku. "Gagaku" has been evidentally transformed from ancient Persia (Iran), many Eurasian nations including Azelbaijan and Afganistan, China, Koreas, and even Vietnam, finally reached the archipilago of Japan. My idea and plan of this odyssey is primarily focused on the cultural diversity with the historical exploration, over the Eurasian nations and people, in conjunction with possible "Beijing Arts and Cultural Olympiad" programmes, if they would start it. 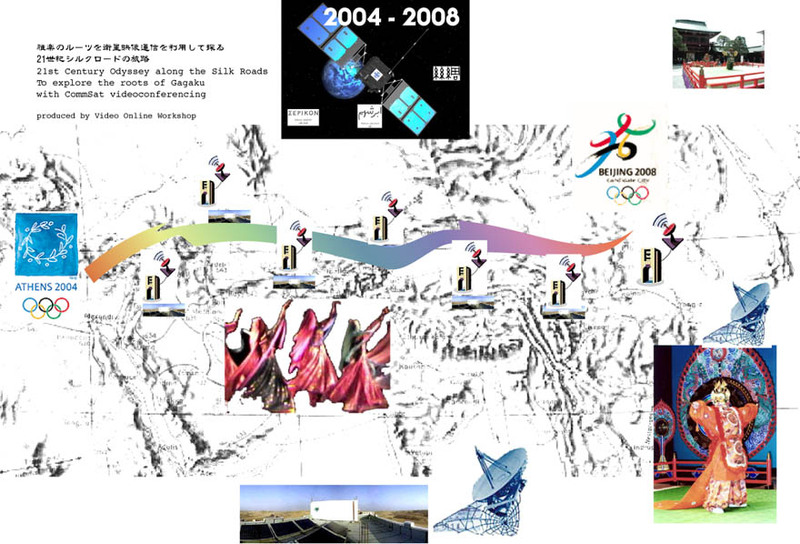 However, this plan is more important for the people in the regions, in that we seek for peace towards the Beijing Olympics 2008 starting over the Athens 2004, the first Olympics in the 21st century; it is also to establish a solar power generator (in possible cooperation of Greenstar) and a communications satellite studio (in possible cooperation of NASDA or NASA) at the respective sites along the odyssey over the Silk Roads, for four years starting 2004 from Greece; possibly to add an idea of "project green" to plant grasses and trees to green the passing regions of Eurasia. We explore the local and regional music and dancing along the Silk Road in comparative studies with the Gagaku inherited music notations and dancing styles, over the comm-sat videoconferencing. Maybe one month stay would suffice the respective studies at one location, meaning we can set up almost 30 - 40 facilities of solar power and comm-sat sites along the old Silk Roads. The finale of this project will be in Beijing just before the Olympics "from Athens to Beijing", to get together online and on the same ground, thus we can celebrate and appreciate the first Eurasian Olympics with ICT and cultural exchange programmes. Like everybody else in the world, I have also been one of the people who was wounded mentally and sentimentally from the massacre in NYC and DC as well as PENN. I also felt very sorry for the people in Afganistan. I felt very powerless in helping the people in the world, particularly in the targeted regions. I don't have money to help them. But, I have technology to possibly empower them. Why wouldn't we use the technology! for the future, for the children, and for all of us to enhance the peace.